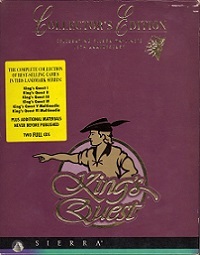 Following the recovery of Daventry's treasures in King's Quest I: Quest for the Crown, Graham is now king of the land. However he wants a queen by his side, and make sure there is an heir to the throne. 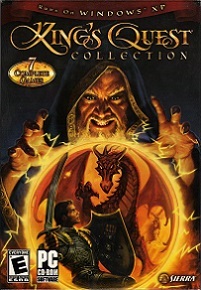 The magic mirror shows him the image of a beautiful woman in an quartz tower, locked up by the evil witch Hagatha. Graham switches his crown for his adventure cap, aware of his new quest, and travels to the land of Kolyma. There he encounters many characters, such as king Neptune, little red riding hood, a thieving gnome, an evil enchanter and many more. He finds a magical door, a door which requires three keys to be unlocked. To obtain each key, Graham must face challenge in water, air and even infiltrate in count Dracula's castle, to finally free Valanice, the woman of his dreams. 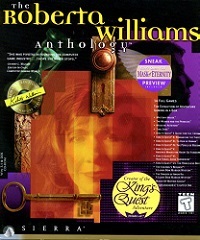 The game, written and designed by Roberta Williams, was first released in 1985 on a self-booting disk that supported CGA, PCjr, and Tandy graphics. 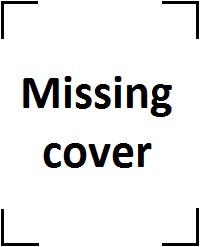 It uses Sierra's AGI engine and a text parser to insert commands. 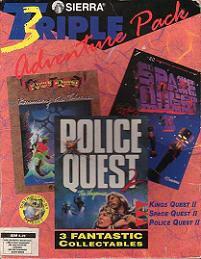 It was also released on Apple IIGS version with improved soundtrack and sound effects. 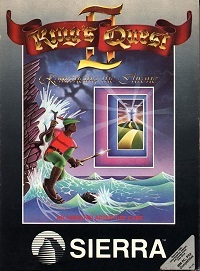 In 1990 Sierra planned to redevelop Kings Quest II but due to rather disappointing sales of the 1990 remake of King's Quest I, the plan of officially remaking and re-releasing King's Quest II was scrapped. 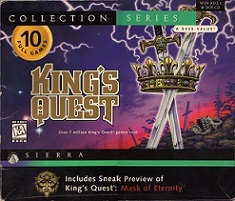 In 2002 however, the game did get an unofficial remake by fan-based AGD Interactive.